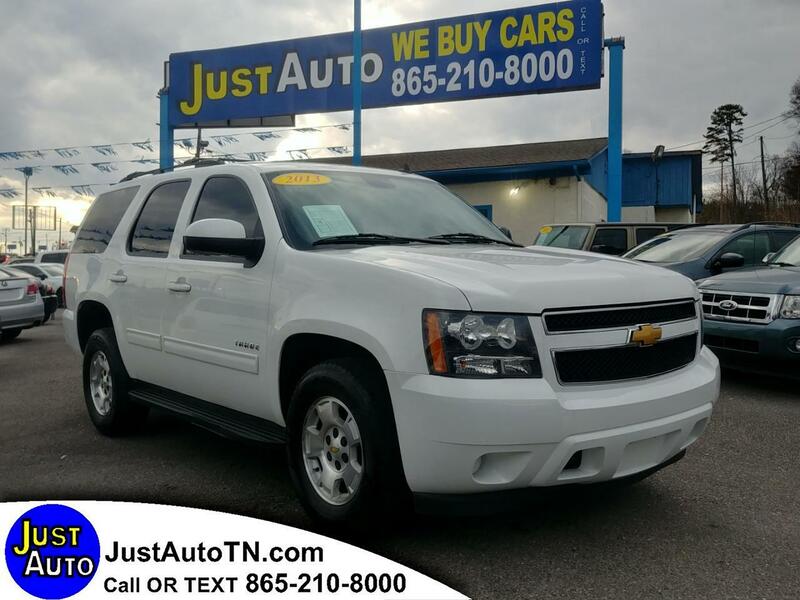 2-Owner, 2013 Chevrolet Tahoe. Drives excellent, very comfortable ride. Clean interior and exterior, 3rd Row Seating, Plenty of space for the family! Come take a test drive today. Feel free to come by anytime between the hours of 10AM-6PM Mon-Sat and 10-5PM on Sunday. Call or text us at 865-210-8000 !